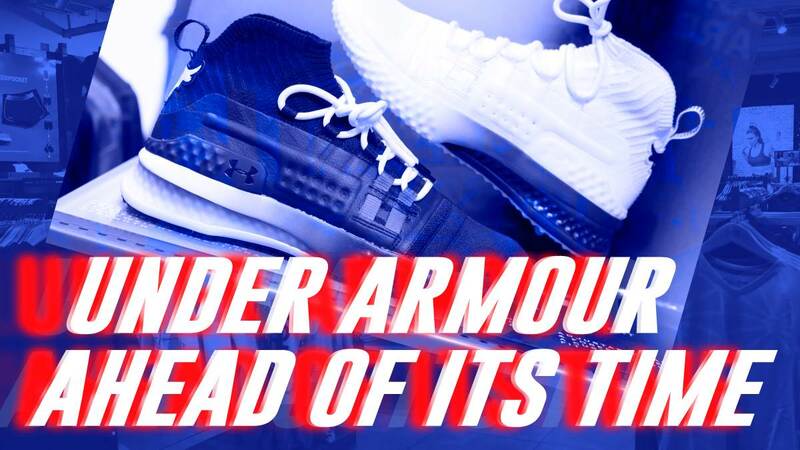 First founded in 1996 in Baltimore, Maryland in the United States, Under Armour has since grown into one of the most popular and well-known sports brands in the world. It has endorsements a number of famous athletes and celebrities, whose products are also on sale at the Siam Center branch. Most prominent among these are NBA player Steph Curry and former professional wrestler and actor Dwayne “The Rock” Johnson, whose collections have proven to be best-sellers in the store. Additionally, there is also the UA Hexdelta. While it is similar to the aforementioned UA Heatgear, Hexdelta is adaptable in both hot and cold temperatures. If you happen to be working out in a cold kind of environment, the material will immediately keep you warm. If you’re working out in an environment where the temperatures are high, it will help to serve as ventilation system. The patterns on the material help to let out more heat, in addition to being light and stretchy. You think that’s all Under Armour has to offer in terms of advanced sporting gear? No, there’s still more. Of course, if you talk about sports, you need shoes. And when it comes to shoes, you may as well call Under Armour the grand innovator. Their shoes are implemented with highly advanced technology. A prime example is the UA HOVR Sonic 2. In addition to its lightweight feel and ability to effectively absorb impact, this shoe can be connected to be smartphones via Bluetooth. The brand also sells gear like hooded sweaters, both of which come with or without sleeves. Now, the long-sleeved hoodies are multi-purpose; they can be used for simply keeping or for high-intensity workouts that trigger a high volume of sweat. As for the sleeveless hoodies, these are geared towards the gym buffs who focus on weight training and want to show off the gains on their arms. All in all, Under Armour’s ingenuity in innovation when it comes to their sportswear and sporting equipment is highly applaudable. Their products provide a sense of convenience, comfort and fashion for those who exercise and work out. Whether you’re simply going for a run or looking to hit the gym for an intense training session, you can never go wrong with the products from Under Armour, whether if it’s their tops, short, shoes, gloves or even socks. You can visit the Thailand’s Under Armour flagship store at the Ground Floor of Siam Center from 10 AM until 10 PM.